The Great Ocean Road is among Australia’s most scenic drives and extends from the spectacular Victoria shoreline southwest of Melbourne. This unbelievably beautiful drive winds its way through cliff tops to headlands and crosses rivers and rainforests before meandering towards the coastal beaches. You will be enthralled by the spectacular views along this route which comes to an end just east of Warrnambool. Set off on an exhilarating Hire Motorhome Australia holiday along this scenic route. This spectacular, windswept region covers an unbelievably extensive range of surroundings and encompasses historic ports, splendid surfing beaches, lush rainforests, whale viewing points, mighty mountains and stunning national parks. You must stopover at the most impressive section of this route which is the stretch amid Lorn and Apollo Bay where the cliffs drop into the ocean with spectacular views of the forceful waves crashing onto the rocks. Apollo Bay is a must-visit destination on your Campervan Hire Australia holiday where you can enjoy a vast range of exciting activities such as sea kayaking, swimming, fishing, surfing and snorkelling. From Apollo Bay the impressive Great Ocean Road winds its way through the Great Otway National Park. In this scenic spot you will find Victoria’s most stunning scenery such as wet and dry inland forests, thriving rainforests, slopes and woodlands. Enjoy the awe-inspiring light show provided by the countless glow worms at Melba Gully and enjoy an exciting canoe trip on Lake Elizabeth. Horseback riding, mountain biking and walking trails pave the way for cascading waterfalls such as the Triplet Falls. Great Otway National Park is the abode of the Great Ocean Walk with its miscellaneous landscapes of sandy beaches, towering cliffs and verdant forests. From this picturesque route the road rejoins the shoreline at Shipwreck Coast in the vicinity of Port Campbell. Here you will find the Twelve Apostles which is among the most spectacular coastline sights. These massive rock stacks rise regally from the Southern Ocean and were fashioned by the continuous erosion of mainland cliffs and were blasted by the waves, winds and salt. Of the twelve apostles however only six remain nevertheless these formations provide scenic views from sunrise to sunset with their brilliant ochre colours. The London Bridge and The Arch are among the other well-known natural rock formations in this region. You will reach the end of this picturesque route at Warrnambool where there are lots of opportunities to enjoy whale and dolphin watching with your kids. Southern right whales are plentiful and bottlenose dolphins can be glimpsed from the shoreline while Australian Fur Seals recline on the pristine beach. The Great Ocean Road ends at Port Fairy which is a delightful fishing village. Set off on a thrilling journey with a Campervan for Rent along Australia’s Great Ocean Road. You will be enthralled by the spectacular sight of lush forests, rugged coastline, cascading waterfalls and cliffs. Experience Australia’s unique wildlife and enjoy an adventure-filled holiday with your family or friends. RentACampervan Holidays Ltd finds the best Motorhome Hire Deals in New Zealand, Australia and Europe. RentACampervan Holidays Ltd offers a wide variety of Luxury, Economy and Budget Campervans for short and long hire rentals. 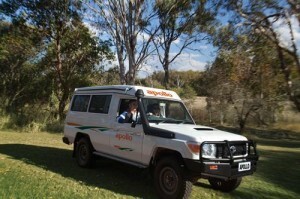 This entry was posted in Australia Campervan Rentals and tagged Australian Campervan Hire, Camper Hire Brisbane, Camper Van Hire Sydney, Camper Van Rent, Campervan for rent australia, Campervan Hire, Campervan Rental AU, Campervan Rental Australia, Campervan Rental Brisbane, Campervan Rentals AU, Cheap Campervan Rental Australia, cheap campervan rentals australia, Hire a Camper Van, Hire Camper Van Australia, Motor Home Hire Australia, Motor Home Hire Brisbane, motorhomes for hire, motorhomes hire australia, Rent a Campervan in Australia. Bookmark the permalink.